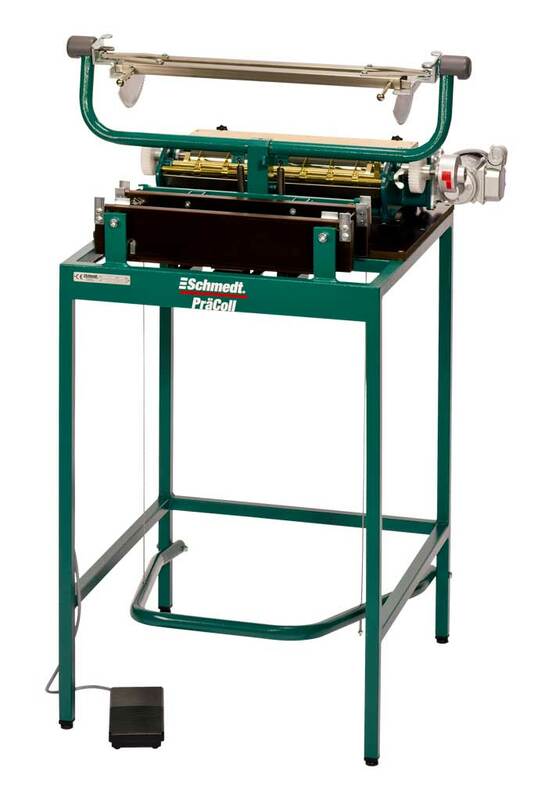 Prä bookbinding machines from Schmedt can be used to manufacture single books, small series and assortments. 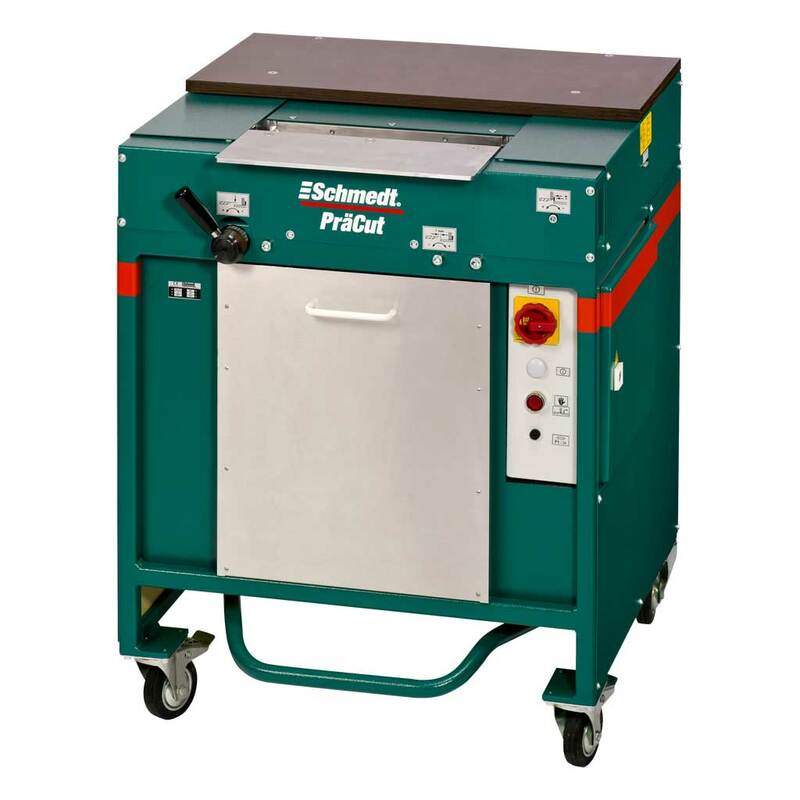 These machines are the ideal solution for the economical production of "books on demand". With the Prä machines you can execute all necessary steps for a high-quality binding. 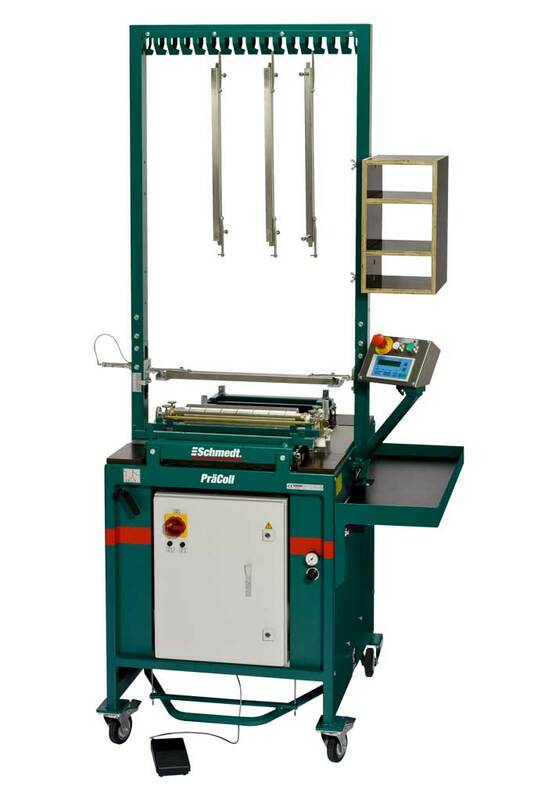 The Prä range of machines for book block making lets you perform essential book block making operations such as spine preparation, binding and rounding of book blocks. 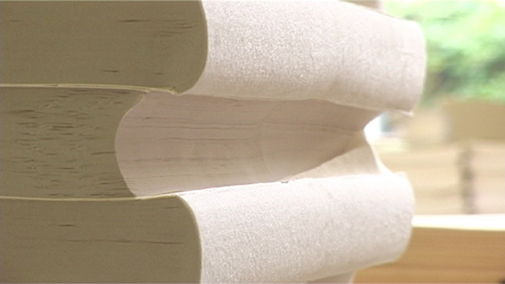 They make it possible to bind single sheets or booklets to a book block. 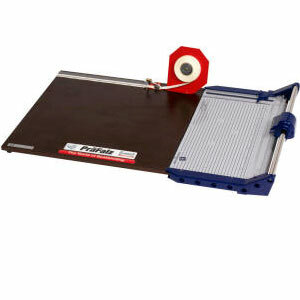 With the Prä-machines you can execute all necessary steps for a high-quality binding. Device for preparing magazines, periodicals etc. prior to fan binding and enables accurate attachment of a PräPlast paper strip to the (mostly cardboard) cover sheet which is to be bound. Machine for cutting and notching of the book block and/or magazine back prior to the fan binding. Manual fan binding device for the fan gluing of book blocks. 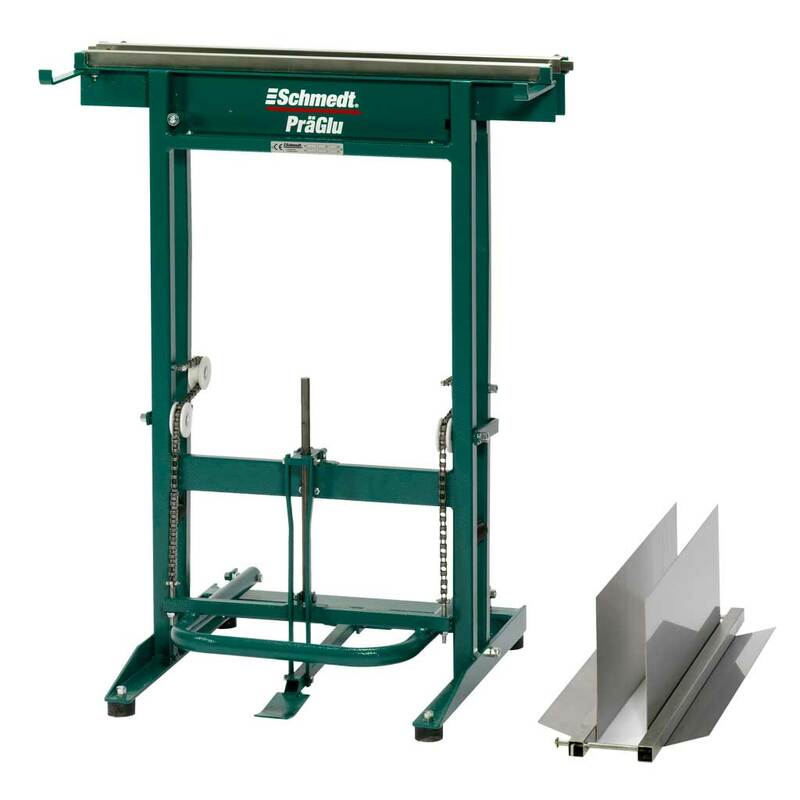 In addition the PräGlu can also be used as a multiple clamp for other operations on the book back or the book face. Semi-automatic fan binding machine for the rational gluing of book blocks with high binding achievement and outstanding binding quality. The machine does not require adjustments of the block size. That is ideal for manufacturing the assortment and the production of small series. The gluing is controlled by a microprocessor and runs automatically. Several settings for the process can be selected over a menu. 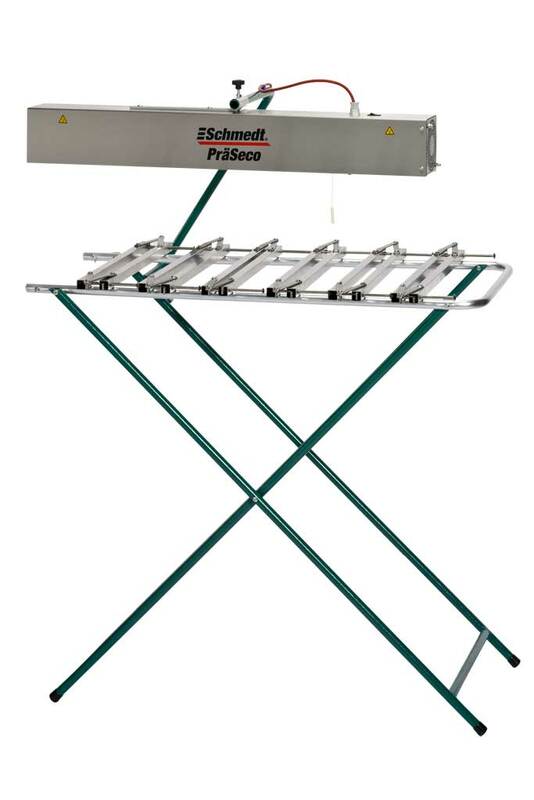 Ideal addition to the fan binders: The PräSeco. A drying rack for holding the book blocks in the clamps. The drying process takes place via an infrared emitter with integrated exhaust. Electrically heated device to prepare book blocks for the rounding process. 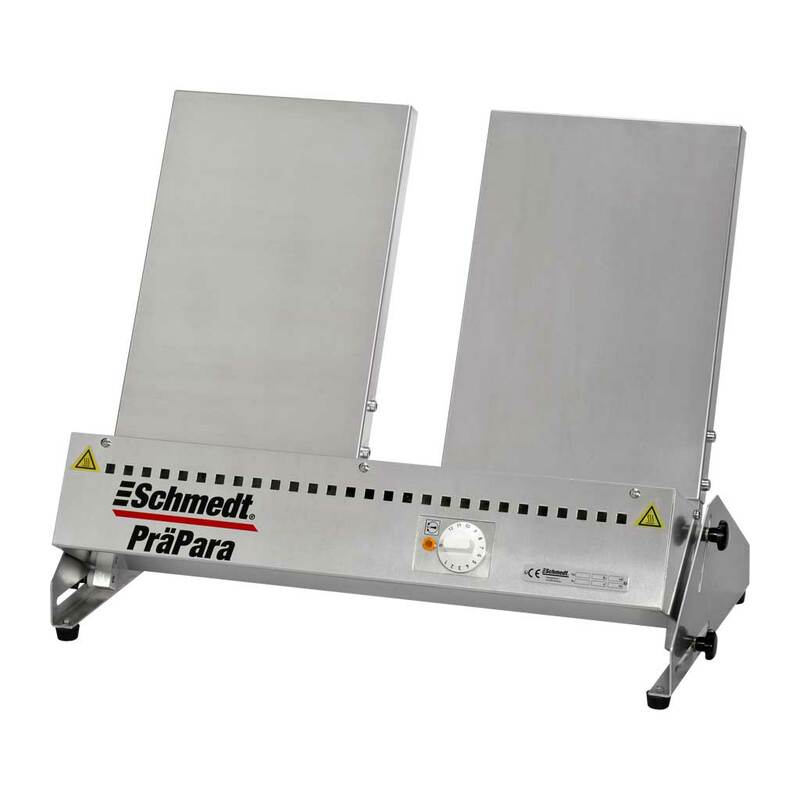 The PräPara® is designed to heat book backs prior to rounding as a heated back can be rounded more easily and the rounding is more durable after cooling. The PräLomo is a compact book back rounding device for rounding book blocks after the fan binding or stapling. 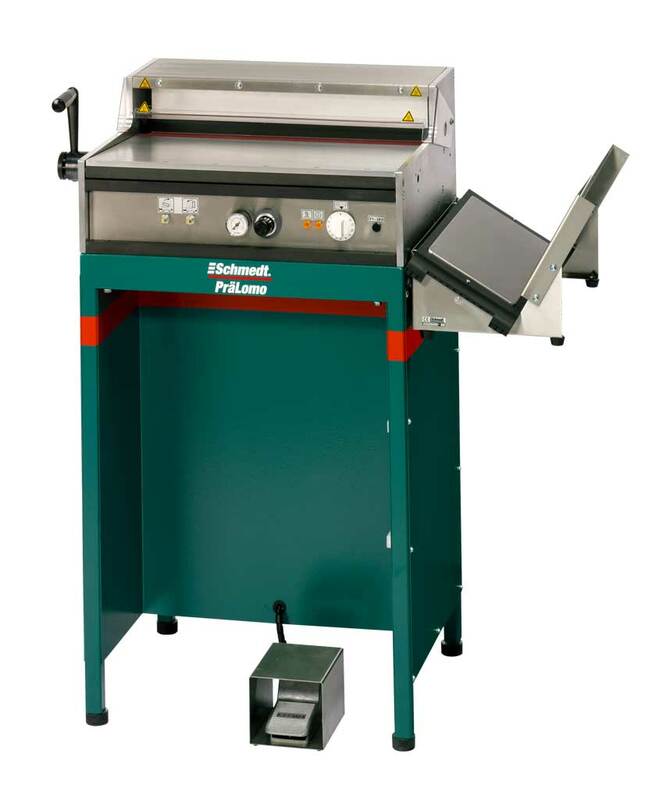 The rounding bar is electrically heated, which allows to round book backs without preheating. 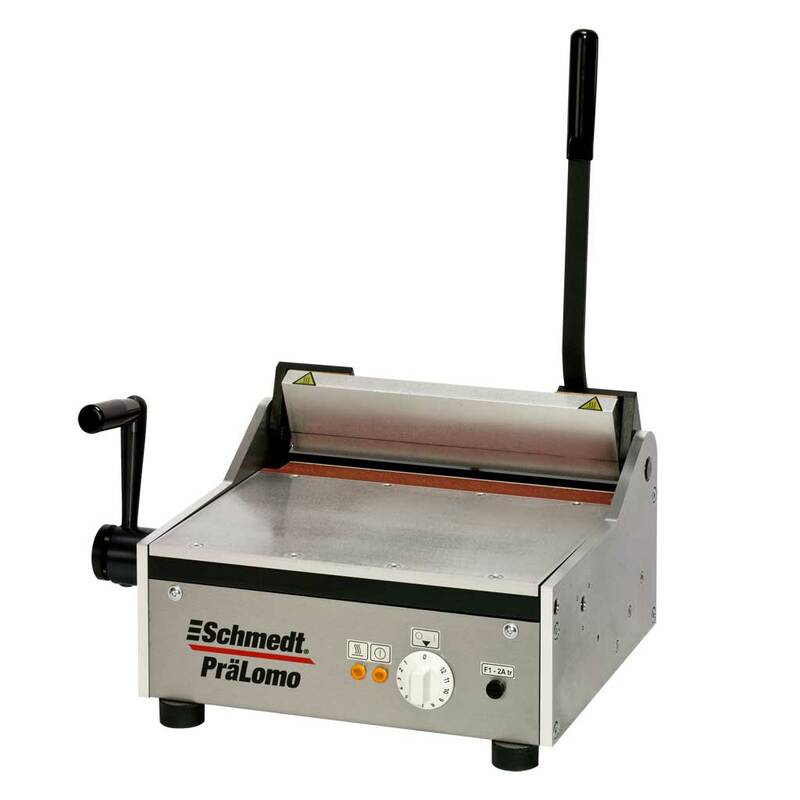 The PräLomo Pro is a highly productive book back rounding machine to round book blocks after fan binding or sewing. The rounding bar is moved pneumatically. The book block can be held with both hands thereby reaching an even rounding quickly. The rounding bar is electrically heated. This facilitates the rounding of hardened book blocks considerably.